Since 1920, our family has been providing Corpus Christi and the Coastal Bend with quality, dependable auto repair at a reasonable price. 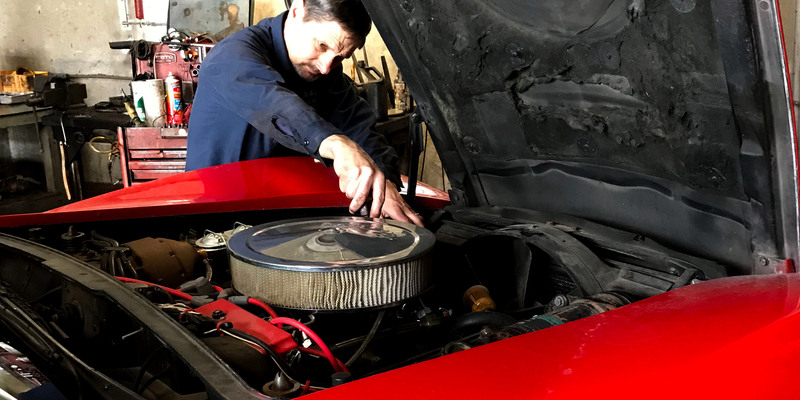 Today, we at Bob’s City Garage, from generations of experience, possess the knowledge to properly diagnose and repair your automobile while providing you the comfort of a family owned and operated business. We know the value of professional auto service and we strive to provide you with a satisfying experience. Whether you drive a car, truck, or SUV, domestic or import, it is no problem for our hard working and trained mechanics who realize that honest and fair auto repair is the best way to serve our customers. We offer quality service at reasonable prices by people who care. Joe at Bob's City Garage which is at Carroll Lane and SPID, the bay side of the freeway, has saved me so much money fixing my 2005 Chrysler 300 that I feel I should leave them a highly positive review, even though this is already a very busy garage. The only negative I can think, at all, is that it is really easy to miss their entrance. They're right next to a minute stop and there's a larger business on the other side and since Bob's City Garage driveway is just a few feet from the edge of the minute stop driveway, and you're on a one way street you have to be careful to watch for their entrance or you'll wind up having to go around again. But the service is only what they find that you really need, even when they could have done much more work, Joe only did the necessary work. Instead of replacing an entire throttle body (the ETC electronic throttle body) Joe cleaned mine and that was all it took. Instead of a $300 plus job that I fully expected as my car was showing all the signs of needing ETC replacement, my bill was a little under $60. for cleaning the throttle body which is all that was necessary as my car runs great now. That is what I call an honest business. Thanks, Joe! Okay, now that I've probably just saved you significant money on your next car repair, why not go to my youtube channel which is "james moreland oliver" and check out my new song about Corpus Christi. It's called "THE CORPUS CHRISTI SONG". Catchy, huh? Or just search google for OLIVER THE CORPUS CHRISTI SONG and it should come up. It's a non-monetized channel so no ads pop up. And please leave a "like" if you do like it. Thanks! This is the best, most honest auto mechanic shop I have found. First rate!! I have known them and used them for over 25 years. Good work at a fair price. You can trust Joe to do it right! Great service fixed my ac very professional !! Most importantly he listened to what we were saying was happening. Joe is a true professional and upright man before God. He has serviced my vehicles for years now. His work is impeccable. The cost for his services are affordable and fare pricing. I highly recommend his services for automotive care.